They insist they don't want to defund the Colorado Civil Rights Commission indefinitely, but Democrats aren't buying it. Some Colorado Republican legislators have voted against funding the state’s Civil Rights Commission – which is at the center of an LGBT rights case before the U.S. Supreme Court. The commission ruled in 2014 that Jack Phillips, owner of Masterpiece Cakeshop in Lakewood, violated Colorado’s antidiscrimination law in refusing to make a wedding cake for a gay couple in 2012. 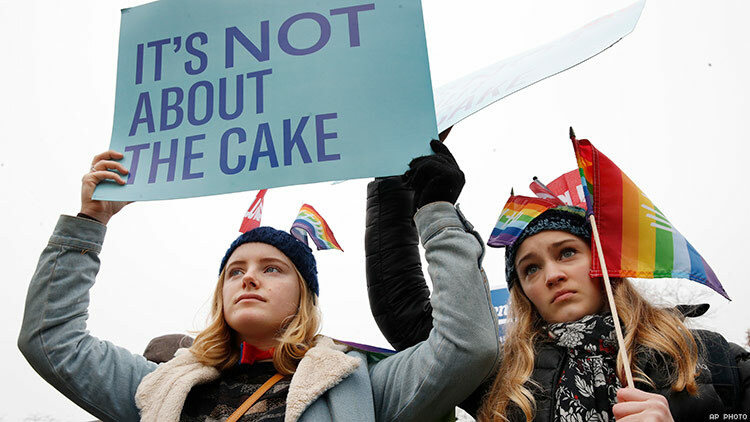 Phillips contended that creating a cake for an event that went against his Christian beliefs would infringe on his religious and artistic freedom. State courts have upheld the commission’s ruling, leading Phillips to appeal to the Supreme Court, which heard oral arguments in December and is expected to issue its ruling this summer. Republicans on the state legislature’s Joint Budget Committee voted last week to withhold funding for the commission in next year’s budget, The Denver Post reports. “This is the commission who ruled against Masterpiece Cake, and now the U.S. Supreme Court is reviewing that decision,” state Sen. Kevin Lundberg, one of those who voted against the funding, said in a Facebook post. “My argument against approving their funding today is we need to wait and see what the legislature does with the renewal of the law authorizing the commission, which is up for sunset review in this session.” The vote made for a 3-3 party-line tie, so the committee must revisit the matter. Republican committee members said they had concerns about the commission’s role in the case, with some implying the body was anti-Christian, according to the Post. “But Republicans say that their intention was never to defund the commission indefinitely or even put its existence into question, and that they just wanted to have a part in the process and to voice their concerns about the panel,” the paper reports.